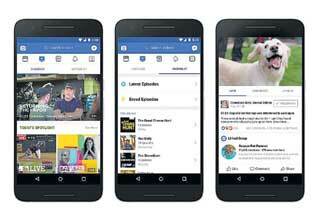 Facebook announced its plans to launch Watch, its redesigned video platform aimed at rivaling YouTube. The new tab will offer a customised variety of shows based on the user's preferences and what their friends are watching. “Watching a show does not have to be passive,” said Facebook Founder Mark Zuckerberg. “It can be a chance to share an experience and bring people together who care about the same things.” The new feature is more structured than its earlier platform with categories, including “What friends are watching”, “most talked about”, and “what is making people laugh”. The social media giant has roped in content from Major League Baseball, Tastemade's Kitchen Little, parenting shows and a safari show from National Geographic.